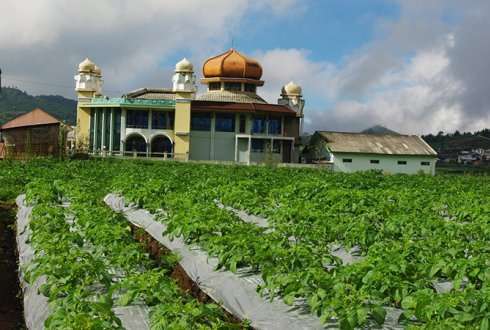 Potatoes thrive in tropical highlands. The tubers are healthier than rice, banana or cassava, and can play an important role in food security. Production is, however, often very low due to various diseases and farmers can struggle to generate sufficient added value. This is where Wageningen comes in. Potato specialist Anton Haverkort travels the world giving advice on how to bring cultivation and marketing to a higher level. "We're often invited by the agriculture counsellor at the Dutch embassy or by NGOs in the country. They diagnose a problem and see that the extensive Dutch potato expertise may point the way to a solution. My colleague Romke Wustman or I then go to the country in question to talk with farmers' associations, governments and agricultural institutes. We also inspect fields, markets and supermarkets. This kind of quick scan, which we do over the course of a week, already gives us a good picture and enables us to indicate possible solutions. Other Wageningen specialists and Dutch companies can subsequently offer a practical helping hand." A recent example is Myanmar, a poor country which is currently recovering from decades of dictatorship. "They have a thriving cultivation there but the potatoes are attacked by bacteria and viruses," Anton explains. "They're trying to solve this using in vitro reproduction. This works great in the lab but contamination still occurs later in the form of propagation to mini tubers. This month we will return to Myanmar with a technical assistant in an attempt to solve this problem." The team have also made recommendations on enhancing added value, for example by using local potatoes in the production of crisps. Anton then turns to Rwanda, where the potato cultivation received a major boost in the 1980s thanks to international aid. "At the time the yield was six tons per hectare and only 45,000 ha were being farmed. The introduction of new varieties, artificial fertiliser and crop protection has since boosted production to thirteen tons per hectare while the area under cultivation has expanded to 170,000 ha. Potato has become the second staple food in Rwanda after cassava." The time has come for a second wave of support, says Teddie Muffels, agriculture counsellor in Kigali. "A team of Wageningen experts, policy makers, researchers and businesspeople came here at the end of 2012. The farmers have already implemented some of the ideas and improvements in storage and packaging. As a result of the visit, Dutch seedling companies are now interested in Rwanda." An inspectorate is currently being set up under the auspices of the UPOV (International Union for the Protection of New Varieties of Plants) to test new varieties. Consultancy is often followed by a project with the private sector, such as the NAFTC (Netherlands Agro, Food and Technology Centre), financed with public money. This was the case in India. "This allows the sector in a country to take full advantage of the expertise we have built up in the Netherlands," concludes Anton. Is reducing environmental impact in the EU feasible?